A 60-year-old man underwent sirolimus-eluting stent (SES) implantatoni. At two months, intravascular ultrasound (IVUS) images showed homogenous echolucent appearance within the stent, recognized as a"black-hole" phenomeon. Optical coherence tomography (OCT) images of the correspoinding segment demonstrated a layered structure composed of think inner layers with high-intensity signals and outer layers with low-intensity signals. 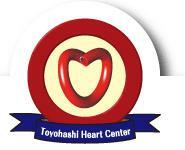 Toyohashi Heart Center is a specialized cardiovascular care center with 24-hour emergency care. Our center comprises two divisions: interventional cardiology and cardiovascular surgery. Interventional Cardiology refers to diagnostics and non-surgical treatments of the heart (coronary artery disease) and surgery programs offer patients a range of surgical operative services. Both divisions are equipped to provide the best possible quality of treatment for each patient.